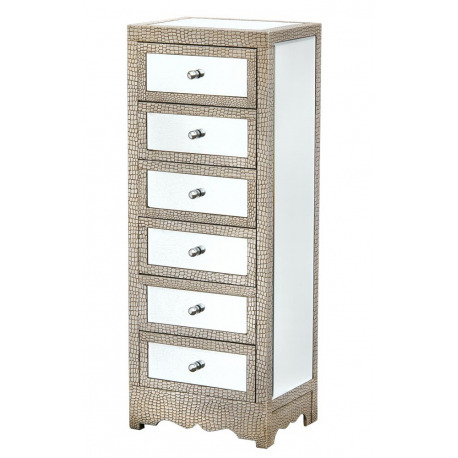 This is a tallboy 6 draw mirrored cabinet with glass panels. It is silvered faux leather Moc Crock, over solid wood, finished with silver knobs. 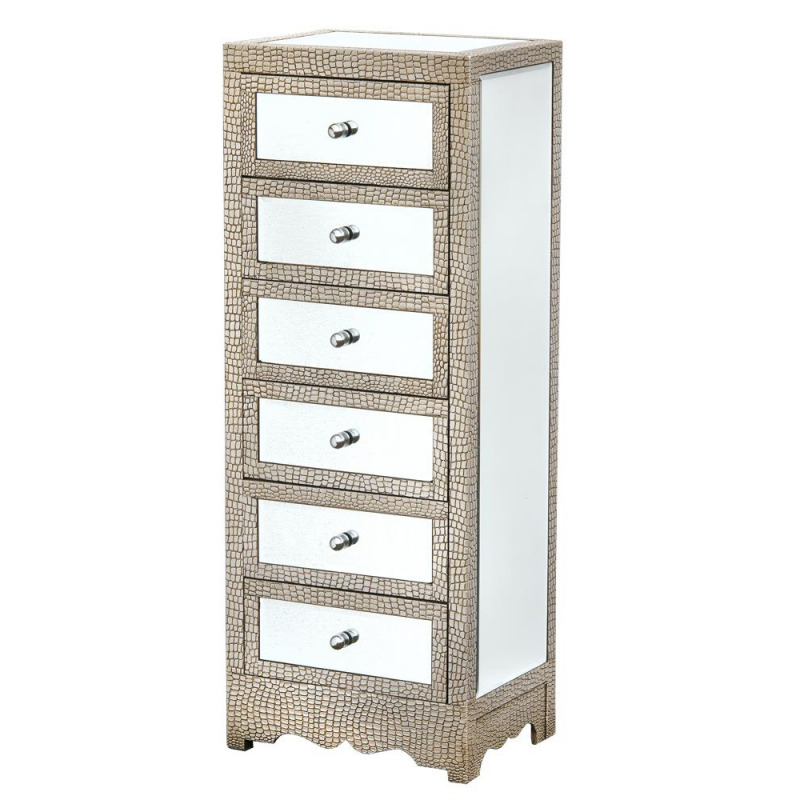 The Moc Crock mirrored cabinet is an eye catching cabinet suitable for a bedroom or lounge.